A secondary school teacher has been struck off after almost killing a man in a hit and run. 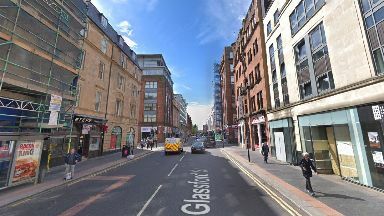 Mohammed Yusuf Anwar, 27, was jailed in October 2017 after pleading guilty to mowing down a pedestrian in Glassford Street, Glasgow, on November 14, 2015. Anwar, who worked for Perth & Kinross Council as a computing teacher, struck his victim while driving at an excessive speed for the road conditions. While the man held onto the roof of the vehicle, Anwar sped on and ran through red traffic lights. The victim was then thrown from the motor onto the ground - to his severe injury, permanent disfigurement, permanent impairment, and danger to his life. Anwar also pleaded guilty to failing to stop at the scene. At Glasgow Sheriff Court he was jailed for 18 months and disqualified from driving for 45 months. 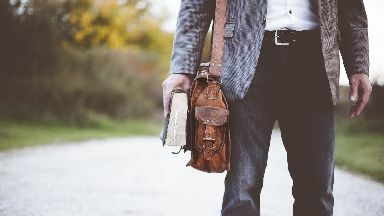 At a General Teaching Council for Scotland (GTCS) hearing last month, a panel concluded that Anwar's actions amounted to misconduct and that his fitness to teach was impaired. In a report published on Wednesday, the panel stated: "The teacher's behaviour was not what was expected of a registered teacher. "It was not responsible behaviour for a teacher. It fell short of the expected professional standards." The panel also found that "fleeing the scene" lacked integrity and is "not what the public expect from a member of the teaching profession". Anwar failed to show for his hearing, but had sent an email in February this year admitting the charges. In the correspondence he stated he was remorseful, but also said "he did not feel he should be punished twice". Although Anwar had no history of misconduct, due to his lack of engagement with the GTCS process the panel had no evidence of steps taken to remediate the conduct. Striking Anwar off the register, the panel concluded: "The panel considered that the conduct was potentially remediable. There was, however, no evidence of remediation. "Given the teacher's apparent lack of insight and the lack of other information from the teacher, there was a risk of recurrence. "There was insufficient evidence to satisfy the panel that the conduct was in fact remediable, had been remedied and that there was no likelihood of recurrence. "A finding that the teacher was unfit to teach was necessary given the need to protect the public, and to maintain the public's confidence in the teaching profession and in the GTCS as a regulator." Following Anwar's removal from the register, a Perth & Kinross Council spokesman said: "We do not comment on individuals' circumstances; however, we note the decision of the General Teaching Council for Scotland."